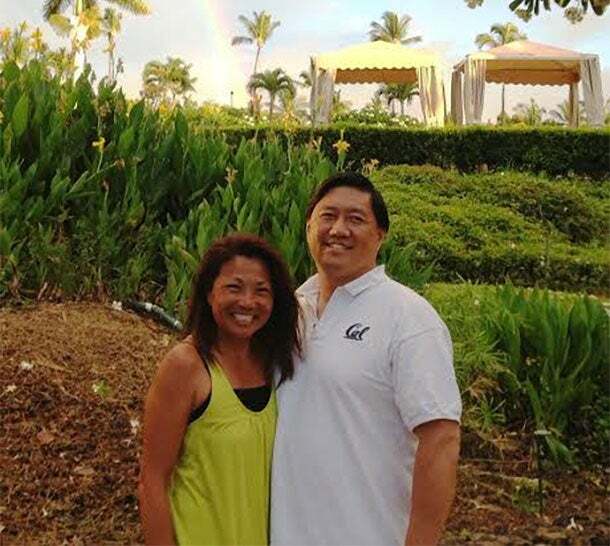 Franchisees David and Irene Tang loved the açaí bowls they sampled during a Maui vacation in June 2014. But in Indianapolis, where David is a real estate developer, they couldn't find a good example of this nutritious powerhouse treat anywhere. Ever heard of the açaí? It's an antioxidant-rich berry (pronounced: ah-sigh-ee) which, combined with organic granola and other superfood ingredients, is the centerpiece of the franchise chain Vitality Bowls (which also offers smoothies, salads and paninis). The Tangs enjoy a healthy lifestyle in their home state of California -- they eat right, and she runs multiple marathons each year. And they wanted to introduce the Hoosier State to the high-quality açaí bowls they remembered from Hawaii. So last year they opened two Vitality Bowls franchises in the Indianapolis area and found they weren't the only ones looking for a delicious, nutritious treat. Franchise owned Vitality Bowls, in Carmel, Ind., and Indianapolis, Ind. [Irene responding] Carmel opened in February 2015 and Traders Point (Indianapolis) opened last July. We did not want to re-invent the wheel. Rather than spend time and energy researching recipes, learning how to run a restaurant, developing vendor relationships, etc., we wanted to focus on getting up and running and growing a business. Dave is a residential real estate developer and realtor and has been in the real estate industry for 25 years. I was an elementary school teacher for 10 years. We fell in love with açaí bowls on a family vacation in Maui in June of 2014. Dave has been working on residential real estate development projects in Indianapolis for the past four years and travels back to Indianapolis from California at least one week every month. On his monthly trip to Indy in July 2014, he was missing the taste of açaí bowls, and discovered there was not a single place in the entire Indianapolis area that offered the same range of healthy and delicious foods as Vitality Bowls. He convinced his business partner, Eric Moore, to come to California to try this cuisine for himself -- and the idea of spreading the Vitality Bowls goodness to Indiana was born. With Carmel, we were very fortunate. We inherited the location of a very popular frozen yogurt store, so the kitchen and prep areas, and many of the appliances, furniture, counter-tops, etc., we were able to re-use. Carmel cost approximately $45,000 for additional appliances, signage, permits/fees and store-site modifications before we opened for business. We also spent about $5,000 in pre-opening marketing. Our location in Traders Point was an empty box, so permits, fees, an architect, planning and installing all electrical, plumbing, walls, appliances, counters, fixtures, furniture, two bathrooms, flooring, signage, marketing, etc. came out to approximately $175,000 before we opened. There was not a lot of research already available for something similar to Vitality Bowls in Indiana, as there just isn’t anything like it in the state. We did try a couple of locations that at least advertised açaí bowls, but these were restaurants with a variety of other offerings, and açaí bowls made up only a small part of their menus. We felt that the taste, presentation and total amount of healthy ingredients in the bowls at Vitality Bowls were far superior. We did invite many friends and business associates in the Indianapolis area to try açaí bowls (many times, buying the ingredients and trying to make them ourselves). And even though we weren’t able to create even something remotely like the Vitality Bowls' taste and presentation, the bowls we did make and offer were well received. We were convinced there was a demand for healthier eating alternatives but did not seem to find anyone else aggressively seeking to meet that market need. So we felt our timing was perfect to introduce Vitality Bowls to the Indianapolis area. Having started and successfully grown other businesses, the details of the food service industry did take us by surprise from time to time. Food service is not for everyone. Hiring and retaining quality employees remains a challenge -- especially when many of the people we want to hire with strong food service experience had no idea what an açaí berry was or were used to having to learn the health benefits of all our wonderful ingredients and educate our customers. Be realistic about the demands on your time and energy. It takes a tremendous amount of work and energy to own your own business, even with the support of the franchisor. So, anyone considering a franchise needs to understand it is not a part-time [project]. [You have to] set your own hours type of commitment. Also, have enough financial liquidity to weather some ups and downs. We learned this from owning and growing other businesses. And making sure we had adequate reserves and liquidity has helped us grow Vitality Bowls in Indiana thus far. Another thing: Don’t get discouraged. Having owned and operated other businesses, we knew going in that there would be a period of trial and error, which we mitigated tremendously by joining a franchise, and inevitably there were some setbacks. Entering a market with no other competition is an opportunity, but is also a little scary, as you are never sure if your product will be well received in the marketplace until you open. Have a long-term vision and plan. Even as surprises and speed bumps come up, remembering the original vision, and working your plan will help keep you moving forward in a positive way. Celebrate the wins along the way, move on past the mistakes quickly, and enjoy the journey! Owning your own business (but not being completely on your own) can be such an incredibly satisfying experience, as well as financially rewarding. Our goal is to continue growing Vitality Bowls in the Indianapolis area and introducing more and more Hoosiers to our brand of delicious healthiness. We are looking to build on our experiences to open up six-to-eight other stores in the Indianapolis area -- and then consider other locations in the state of Indiana as well.